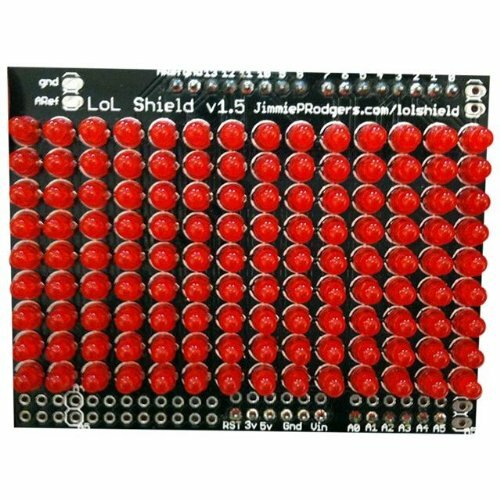 The LoL Shield is a charlieplexed LED matrix for the Arduino. The LEDs are individually addressable, so you can use it to display anything in a 9×14 grid. Scroll text, play games, display images, or anything else you want to do. It comes as a kit or an assembled board, teher are also various colour options and also an SMD example available.